Sixx A.M. must be a godsend for Motley Crue's Nikki Sixx, as not only does he still make large amounts of money from being in the dysfunctional Crue with people he hates, he also gets to make records with people he likes. 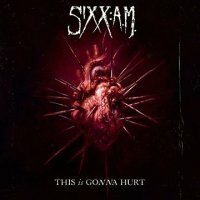 Like the Sixx A.M. debut 'The Heroin Diaries', 'This Is Gonna Hurt' is a kind of soundtrack to Nikki's book of the same name, although thankfully this time out he's dropped the narration and just let the music do the talking. Joined again by current Guns'n'Roses guitarist DJ Ashba and ace vocalist James Michael, the trio have made a great modern rock album that takes you on a musical journey through several different styles and subjects. I'll let you discover the stories in the lyrics for yourself but it should come as no surprise that they mostly deal with subjects that aren't exactly cheerful, although musically and lyrically it's a little lighter than its predecessor and Nikki seems to have come to terms with his demons and reaches out to his fellow outcasts. The songs are diverse and well written with much to recommend almost every one. 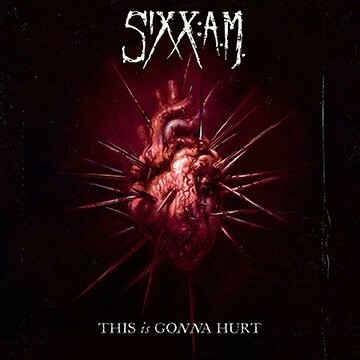 The title track has a slightly industrial feel but is a great way to start the album and features some of Sixx' best bass playing, while the single 'Lies Of The Beautiful People' has catchy riffs and radio-friendly vocals and could be a crossover success. 'Live Forever' is an upbeat tune with an excellent guitar solo from the underrated DJ Ashba and the commercial 'Sure Feels Right' is a major change to the overall sound with soothing bass and guitar, whilst the haunting closing ballad 'Skin' is just stunning in both composition and execution. Disappointments are few and far between with only the dreary ballad 'Smile' not really floating my boat, however, one small blip on an otherwise excellent album is a pretty good return for the £8 this album is going for in most supermarkets and online stores. On the whole I would say it doesn't work as well in tandem with the book as 'The Heroin Diaries' did, but musically I'm enjoying it more. The production is crisp and clear and James Michael puts in another stellar performance, so for an occasional studio-only project I'd say it must be close to becoming Nikki Sixx' main focus.